GoPro's Grab Bag of mounts and spare parts. Includes Curved and Flat Adhesive Mounts, two mounting buckles, a 3-Way Pivot Arm, plus a variety of short and long thumb screws. GoPro &apos;s Grab Bag of mounts and spare parts. 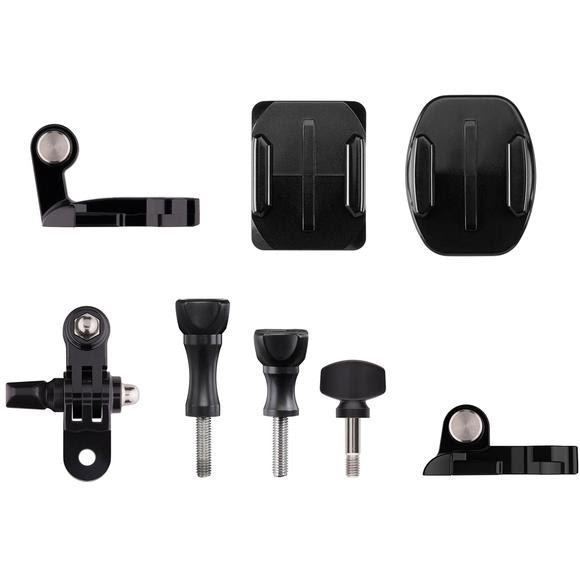 Includes Curved and Flat Adhesive Mounts, two mounting buckles, a 3-Way Pivot Arm, plus a variety of short and long thumb screws.